A truly unique and challenging flight simulation experience, Lunar Flight will give you many ours of immersive, addictive & rewarding gameplay. Lunar Flight features very atmospheric sound and visuals, creating a very immersive experience and is designed to engage the player’s senses as well as their appreciation for realistic physics. Fans of space flight will be pleased to know that it futures proper Newtonian physics behaviour and will provide one of the most authentic and dynamic space based, low gravity flight experiences they can have. Lunar Flight should be available for sale Q1 2012 and will be priced at $10 US through several Digital Distribution sites. Lunar Flight Multiplayer Update Released - On Sale! 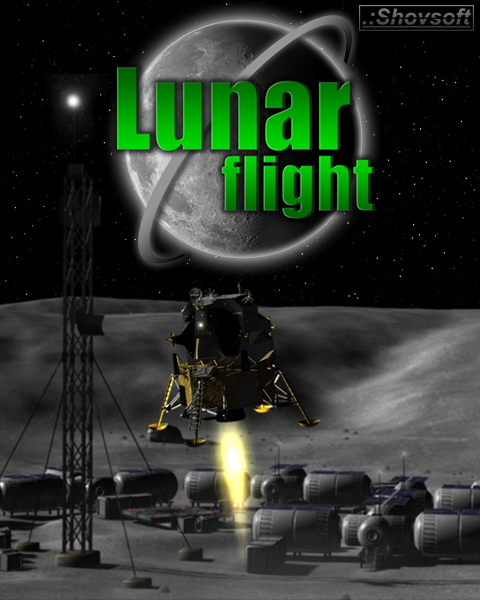 Lunar Flight has been updated with new Multiplayer modes and many more new or improved features. Multiplayer Coming to Lunar Flight 1.7 Update! The next major update to Lunar Flight will feature Multiplayer. Read on for more info. Lunar Flight Free Mars Content Update - Sale! Lunar Flight's latest update adds Mars as one of the flyable maps in this free content update. Grab Lunar Flight now while its on sale!! The latest Lunar Flight update is now available bring it to version 1.3 read on to see whats new! A great game and excellent, supportive dev behind it. Hello, I loaded up the beta some months ago and quit playing it for the last three months. Now I have the full blown version and have to set up my joystick again. Only trouble is, I remember absolutely nothing about how to set it up like I did for the beta!! Help!! The game now has full Direct Input support so it should be very easy now to configure your joystick in game without having to do anything other than assign the controls to your preference in game. Here's a tube explaining how to get the controller working. Its now nine months later (since last you were asking); is a demo likely to be forthcoming? Even at these prices (its now 50% off), I refuse to buy a game without a demo; too many turn out to be rubbish and by then you've "rewarded" the developers anyway. Yes, I do aplogise, I still plan to get this done, it's just never been a high enough priority, but I am planning to get one out in the next few weeks. I am moving house at the moment and will be offline for a week or two. is there a possibility of getting lunar flight to work offline? I do not always have access to the internet and I would very much prefer to be able to play when I do not have a connection. as well, any chance of a linux port? unity is running on linux now. I guess I'll try wine for a bit. thanks for that. I really appreciate it! I for one hope you get the chance to port to Linux. Excellent production values, great concept, immersive gameplay that's convincing while at the same time easy to grasp. You too can land a lunar module (after 20 or so crashes, anyway).